In the midst of a throbbing hormonal breakout, chances are you’re keen on doing anything it takes to get rid of it fast. If that spot treatment or anti-inflammatory serum isn’t working after a week of diligent slathering, it’s banished from your top shelf. Guilty? I don’t blame you. Instant gratification rules all these days, so it’s tough to have patience for most things, like nabbing that spot in SoulCycle or waiting for the next season of your fave show—let alone complexion woes. But when it comes to skin care, switching it up all the time could be doing much more harm than good. That’s why the ol’ saying rings true when it comes to your beauty routine: Consistency is key. And, in this case, there’s science behind it—your skin takes a specific amount of time in order to do its thing. Just short of a month, to be exact. So it’s key to adjust your beauty routine to your skin’s biological clock rather than rush it. “[To rush it] is just not how nature works,” says Nadeau. Sigh. Keep reading to learn how to work with your complexion, not against it—and get your best skin ever. Continually tossing one seemingly ineffective product for another can create long-term issues. Think of it like working out—just exercising for one day isn’t going to get you into tip-top shape. Nadeau notes that the constant switch up between serums and lotions can even potentially wreak havoc with your immune system response. 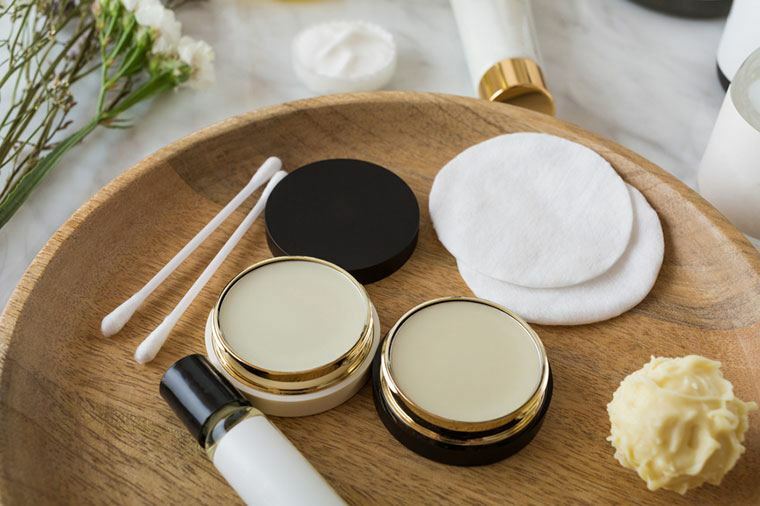 Plus, Dr. Jaliman notes that stopping and starting different skin-care regimens doesn’t let you figure out if the products really work or not. “People start to see problems like breakouts or redness and think a product’s not right for them,” says Nadeau. “What’s happening is you’re seeing abnormal cells being pushed out by healthier cells, which might not look like what you were hoping for. The skin can remedy a lot of things but you’ve got to give it a break.” Otherwise, it’ll get inflamed (which isn’t what anyone wants). Hey, maybe this means it’s time to start perfecting your meditation game—anything for the sake of patience and (beauty product) fortitude. In terms of your beauty routine, here’s what every woman should know about her skin-care regimen. And these are 3 things in your makeup bag that you probably should throw out ASAP.